Bird watchers will love the many opportunities for birding in and around New Ulm! Flandrau State Park, on the southern city boundaries, has recorded up to 158 different specie sightings. Fifteen miles east is Swan Lake, which is a wildlife preserve with many varieties of birds for viewing. 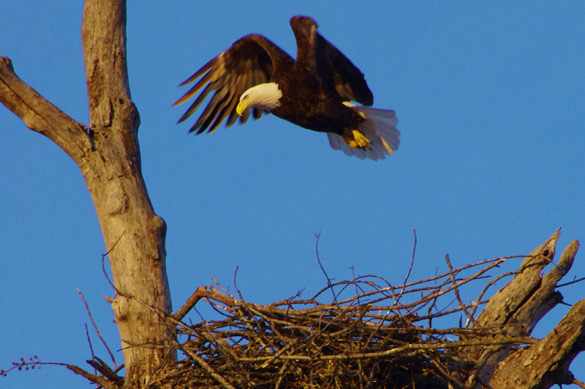 Getting on or along the rivers will also provide you chances to spot unusual birds, including eagles. Visitors to New Ulm are encouraged to join in the Christmas fun by participating in the Annual Christmas Bird Count held in the middle of December. Results are given to the Audubon Society for recording. Contact Elaine Poulson for details at 507-354-5662 or epoulson@newulmtel.net.